Dr. John English, a native of Longview, Texas is board certified by the American Board of Family Medicine and has been practicing medicine since 1993. 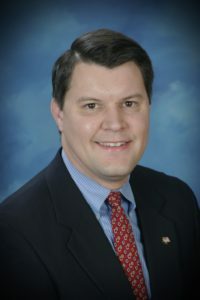 Prior to becoming the Medical Director of Bethesda Health Clinic, he practiced medicine at Trinity Clinic in Tyler, Texas. John holds a M.D. degree from U.T. Southwestern Medical School. John was a member of Leadership Tyler Core Class 19. After completing the Core Program, John went on to serve on the Leadership Tyler Board of Directors from 2006 to 2012. He also served on the Board of Directors of United Way, the Cancer Foundation for Life and the Tyler Area Chamber of Commerce. He continues to enrich the Tyler area community through serving others including serving on the East Texas Center for Nonprofits Leadership Council, as Assistant Scoutmaster to Boy Scout Troop 370 and teaching 10th grade Sunday School at Green Acres Baptist Church. John is married to Dr. Grace English, M.D., who worked as the volunteer medical director to take Bethesda from a concept to a fully operational clinic. As medical professionals, John and Grace are committed to serve the Lord in the area of medicine. John and Grace are blessed with three children.